UPDATE NOTE WRITTEN MAY 4, 2011 - I REALLY CALLED THIS ONE WRONG! Canada has a general election on May 2nd, 2011 which is the first election in almost 3 years. That is actually a long time to have gone with a minority government in Parliament and the choice now looks clear. Polls show that it is turning into a two way decision between re-election of a Conservative Government led by Stephen Harper or a Liberal Government led by Michael Ignatieff. The Bloc Quebecois campaign in Quebec has not been a strong one and the NDP has dropped in the polls from 20% to 13% with Jack Layton apparently having his last campaign. The Green Party environment message is not catching on this time and their focus is just on getting their leader Elizabeth May elected in one British Columbia riding. Canada remains polarized and a shift has taken place already during this campaign as noted by the growing strength of the Liberals and the excellent campaigning done by their leader a very bright academic, during this campaign. 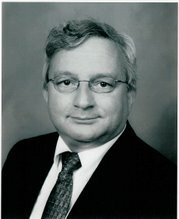 The last Liberal leader, Stephan Dion, was a very bright but defenseless academic who was ridiculed by the Conservative campaign on a non-stop basis and this combined with his poor ability to communicate in English led to a million traditional Liberal voters staying home for the 2008 election. The result was a split Parliament with a stronger Harper minority having little willingness to compromise. That government survived an early challenge by an opposition coalition that wanted to do something about the 2008 recession that affected the world. They were able to hold off the coalition and adapt to bring in what was effectively a Liberal budget and strategy to help Canadian during that difficult time. Canada has done fairly well since then and the Government of Stephen Harper having taken credit, is now proposing major budget cuts to eliminate the deficit in spending that they created in order to survive. They also offer continuing immediate tax cuts for corporations and some incentives for individuals to begin once the deficit is gone. The focus of the campaign has been getting tough on crime. They are not talking about the $30 Billion plus for new fighter jets but they are proceeding if Harper is Prime Minister again. These are traditional right wing policies which present a sharp contrast to the center left opposition parties. The Liberal campaign focus is called the "Family Pack" a group of policies designed to help families now and also to stop the corporate tax cuts and F-35 jet purchase. Michael Ignatieff has spoken clearly and eloquently in both English and French without the need for a teleprompter or notes. Unlike his predecessor Professor Dion, Professor Ignatieff is presenting as a highly competent leader overcoming the attacks that worked so well until the campaign got started. His image has gone from a negative to a positive. The election campaign started with a statement of non-confidence in a minimalist budget but primarily opposition attacks on the ethics of the Harper Government with a litany of complaints of undemocratic methods and contempt for our democratic process. The Conservative response was that the ethics issues are really just partisan attacks and that Parliament finding them in contempt was a "Kangaroo Court". There are a significant minority including people who used to call themselves Progressive Conservatives, who are deeply offended by the ethics record of the current government but those are mostly people who would not vote for them anyway. Most voters do not follow the political process closely and don't care much about the process. The Conservative strategy was to raise generalized fear of a coalition including separatists and socialists led by the evil aristocratic foreign intellectual Professor Michael Ignatieff. Neither side's attack on the other in this campaign has worked and the election will be decided by a choice of how to approach economic problems and a choice of leaders. The election outcome will determine the future direction for Canada. It is a very important election about something. It is a choice between two strong leaders: Harper or Ignatieff. If there is a high voter turn out and strategic voting by those who oppose the Harper approach, a change of government just might take place. One of the two major parties will emerge with more seats than the other but a majority in the House of Commons again appears elusive. The party with the most seats will form a government and have a lot of work to do. For Canada's sake we will need some co-operation to make it work. Obviously the polls have changed a great deal since this post and what was clear a few weeks ago is clearly not going to happen now. We are looking at NDP replacing the Liberal Party as Leader of the Opposition to Harper. Bloc Quebecois is fading too. With less than 48 hours until the actual voting polls close we will soon know the outcome.